The grand opening of FASHION HOUSE Outlet Centre Moscow Phase II will take place on 4th November 2016. All the construction works are almost finished. 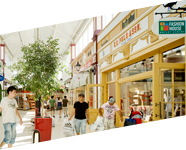 78% of the second phase is commercialized and tenants have already started shop fit-outs. After completion of the second phase, the scheme will have a GLA of over 20,000 sqm. The second phase of FASHION HOUSE Outlet Centre Moscow will be opened in less than 30 days, on 4th November 2016. It matches the centre’s exterior architecture reflecting a “traditional Moscow classic architectural style”. Inside, the second phase reflects the “Window to Europe” concept of European shopping street views, taking customers to the ultimate fashion capital – Paris. All the construction works are almost finished, with the façade, car park, and other exterior elements done. The interior needs only a final touching as shopfronts, ceilings, wall panels, stone of the floors and energy saving lighting system are completed. As the whole scheme, the second phase is constructed of ecologically certified materials and in accordance with rules of sustainable development. Meanwhile, the leasing process of the second phase is progressing fast. Two new tenants have decided to join recently. Rosinter, a food operator focused on traditional Italian dishes (pizza and pasta), reserved a unit of 353 sqm, and Guess, a global lifestyle fashion brand, leased a retail unit of 350 sqm. 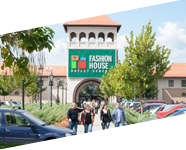 The second phase of FASHION HOUSE Outlet Moscow is committed to be leased in 78%. Tenants have already started shop out-fits. 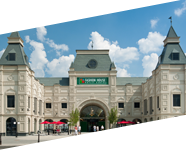 The excellent location, convenient transportation possibilities, unique architecture and great shopping experience are the factors that build FASHION HOUSE Outlet Centre Moscow recognition on the market. 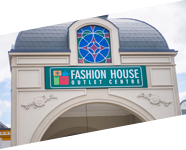 We are the business partner bringing over 20 years of expertise in outlets development and management – said Brendon O’Reilly, Managing Director of FASHION HOUSE Group. After opening the scheme’s second phase, with additional 4,500 sqm of GLA and more than 30 new units occupied by the best brands, our outlet centre will be even more attractive for Russian customers. This will result in continuous sales growth and success of our tenants. in Russia. The scheme offers customers top quality international and domestic brands, available all year round for 30%-70% less than original prices. The impressive portfolio of tenants includes: Tommy Hilfiger, Furla, Pinko, adidas, Reebok, US Polo, Tom Tailor, Benetton, Nike, Puma, Lacoste, Tru Trussardi, Samsonite, Salomon, Etro, Max Mara and others. After opening of the centre’s second phase, it will have a GLA of over 20,000 sqm.